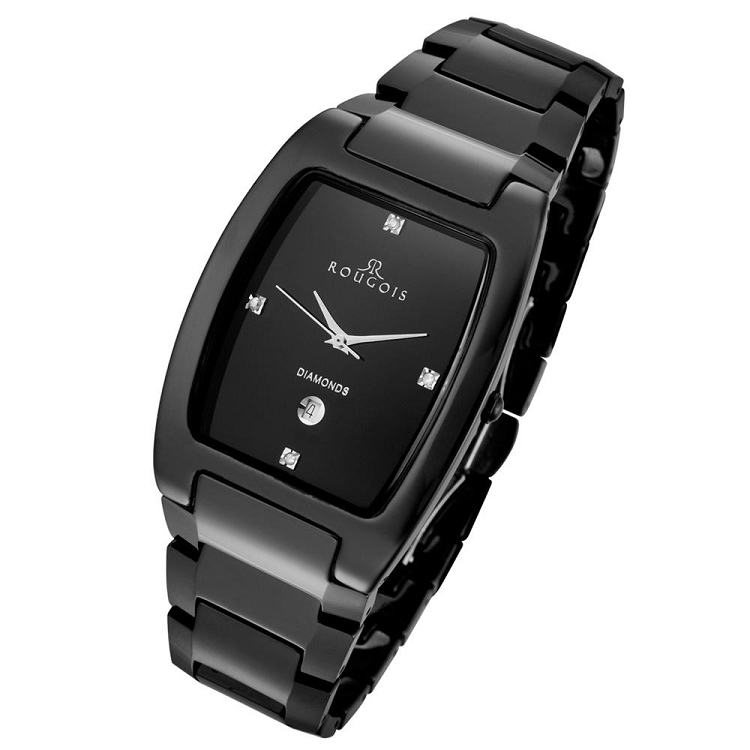 This beautiful new model from Rougois combines the quality of materials such as the high tech ceramic and Swiss movement with the unique designs that are constantly produced by this innovative watch maker. This watch is suitable for many occasions, being extremely comfortable for daily use, as well as elegant and impressive enough for the most formal of affairs. This model features genuine diamonds on the 12, 3, 6, and 9 o'clock position, making this watch truly stand out in the crowd.